I spotted it just off the trail by chance, and did a double take. It was one of those things in my wildflower book so unusual that you remember its name. Fairy Slipper. I forget many of the yellow blossoms cheerfully dotting the path, but no grown up pretend-princess could forget a name like that. I made the most of the moment and photographed the floral gem in all of its 4″ inches of root-to-tip glory. We looked around for more, but came up empty. 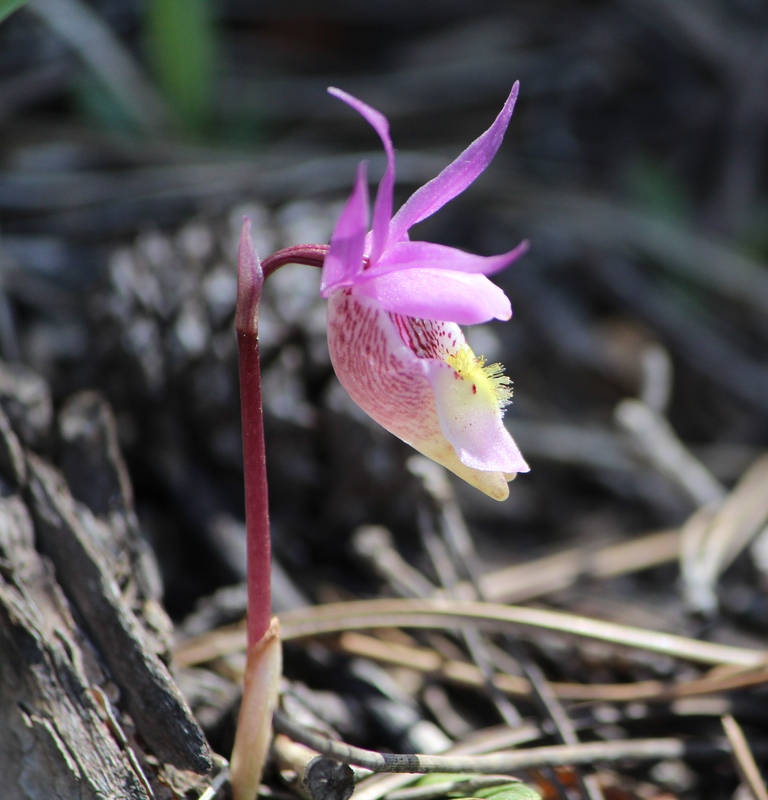 Usually when you see one flower of a kind, more are sure to follow as you trek through the micro-climate on the slope. This was a single, unique blessing. When I got down the mountain, my book told me just how privileged I was to have seen one. It’s the same way with our launch to serve at the Home of Life in Costa Rica. As we are climbing the mountain of tasks that will move us from our home in the prairie to serving in a new country/culture/language, we have been a part of some incredible moments of blessing. Loving words from the Lord delivered to us after worship. Prayer ministry that lightens heaviness into peace. Coming out of the bathroom stall at the movie theater to meet an old acquaintance who stopped right there between stall and sink to speak provision and grace over me. Extravagant gifts of support and affection. Our church’s homeschool community circling up around us in anointed prayer, doing battle on behalf of our family. Each one is unique. Each one a special encouragement. We could look for years and never find more exactly like them. The Lord is decorating this trek with different glimpses of His magnificent presence through the kindness of His people around us. And when we get off of this mountain, I will already know just how privileged we have been. This entry was posted in Kris' Heart, The Launch and tagged blessing, climbing the mountain, fairy slipper, homeschool community, magnificent presence, photography, privileged, trekking, unique, wildflowers, yellow blossoms. Bookmark the permalink. You truly are so blessed in these ‘little’ things. They are the moments that keep your heart trusting in this plan for you, and the memories that will continue to shape your story in unique ways. What a Glorious God we serve! He is indeed, Chris. Praying over the little bit of glory about to join your family anytime now.